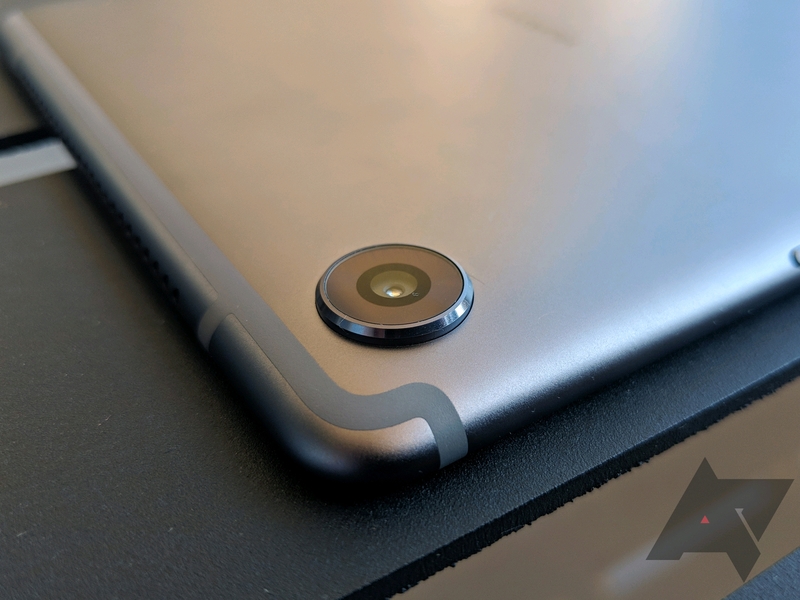 5.2 MediaPad M5 Pro 10.8"
8 Should you buy it ? 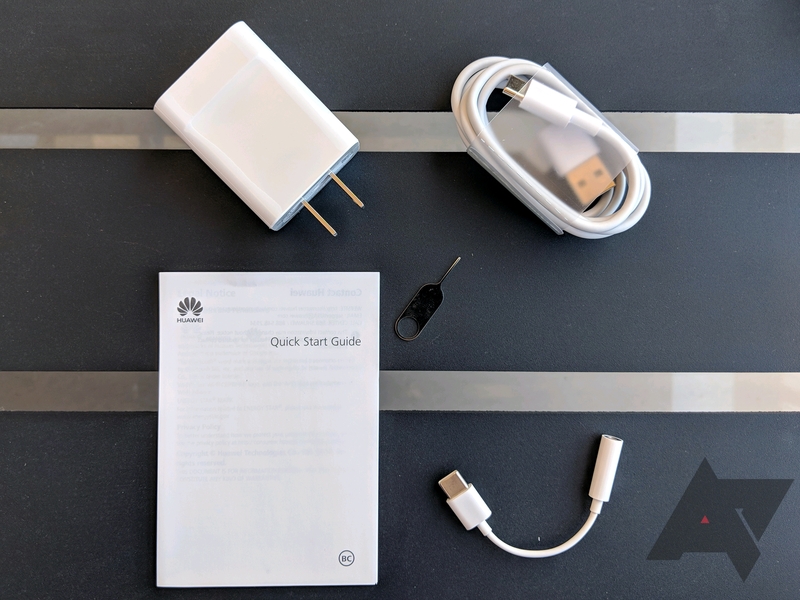 That's why it's important to look at the Huawei MediaPad M5 series as a unique offering. To some, it's a relic of a time that's passed, to others who still want an Android tablet like I do, it's a desirable unicorn. 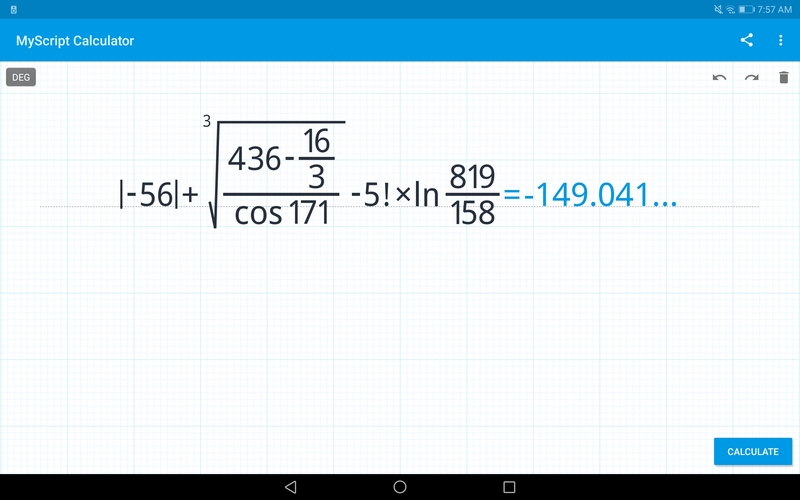 The M5 is one of the very rare, new, more or less affordable, and feature-full tablet options on the market. But before I get to my review of the MediaPad M5 series, I need to address the elephant in the room. Since the Acer Iconia A100 7" in 2011, I have owned and used at least one Android tablet at any given point in time. As I sit here writing this, my Nexus 7 (2013), which served its due with me for four years, is in the hands of my husband who's using it as an ebook reader. 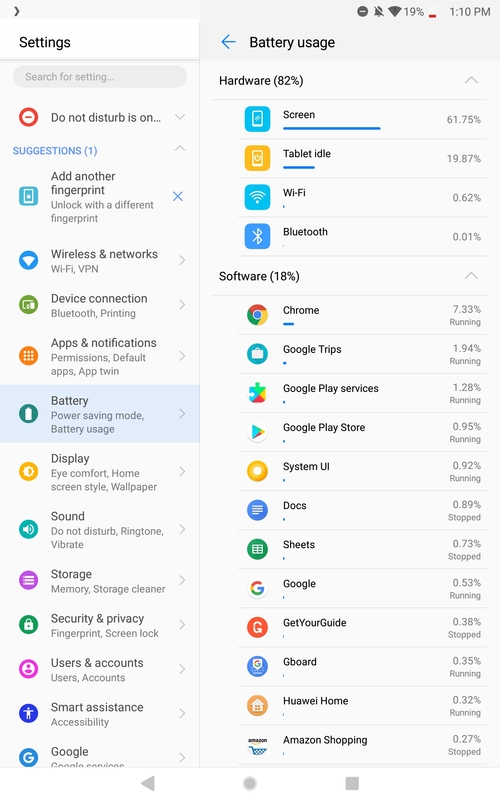 Last year, I moved to a Galaxy Tab S2 8" for my personal use, and I couldn't have been happier about my decision. 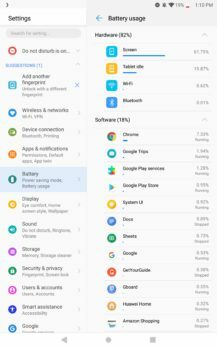 I now own and use the Pixelbook too, and yet I still see room for Android tablets. If you're convinced that Chrome OS is the future, I won't disagree with you. 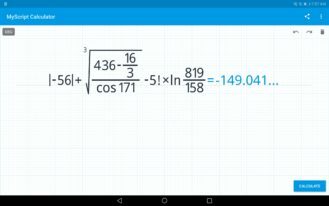 But I think it's still a little in its infancy when it comes to proper tablet use, and it's a bit premature to assume a power-user can get the same functionality from Chrome OS that they would an Android tablet. 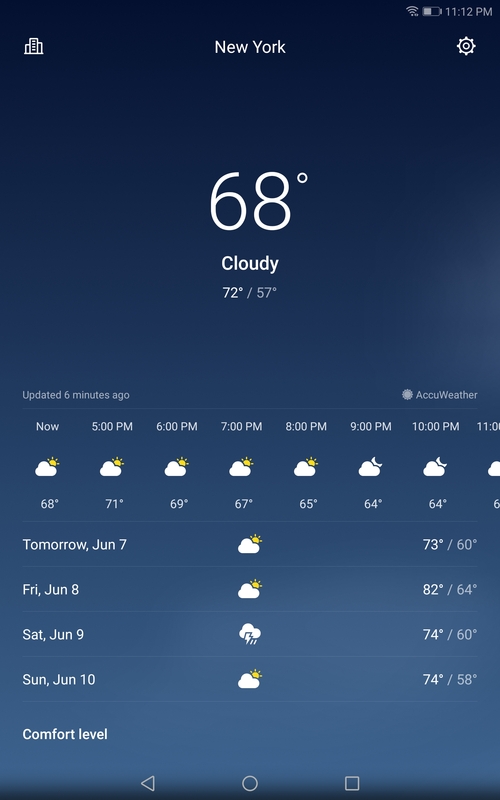 The interface is slowly moving toward being more touch-friendly, the apps are bit-by-bit getting support for all the features they have on Android, but there's still a big disconnect between Android apps on Chrome OS and the system itself. You can tell you're in a container, many apps aren't well-suited for keyboard use, and managing Android files on Chrome OS is a big annoyance for now (until this flag rolls out to the stable channel). Even if you think what's there on Chrome OS is enough to replace an Android tablet for you, there are two big roadblocks for other users that you may not have considered. 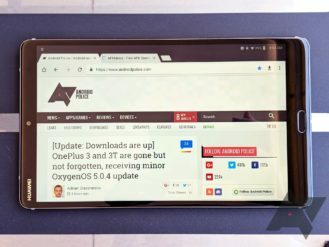 One is that there are no 7-8" Chrome tablets yet, and there likely won't be any for the foreseeable future. 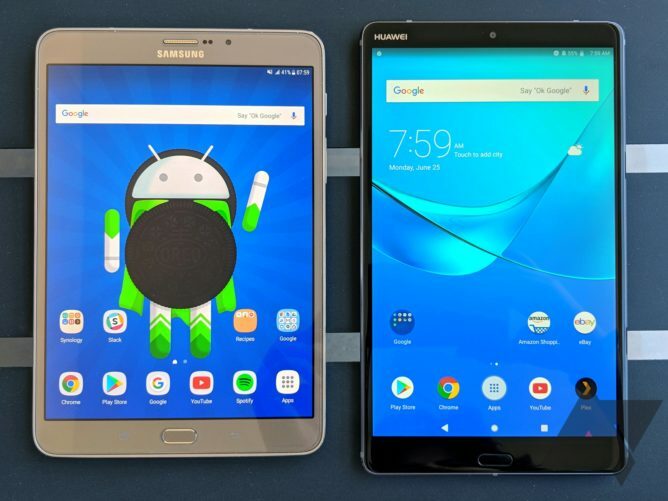 (And no, a large 6" smartphone doesn't count as a tablet — the difference is only visible when you hold the two next to each other, not when you look at the numbers in a spec sheet.) 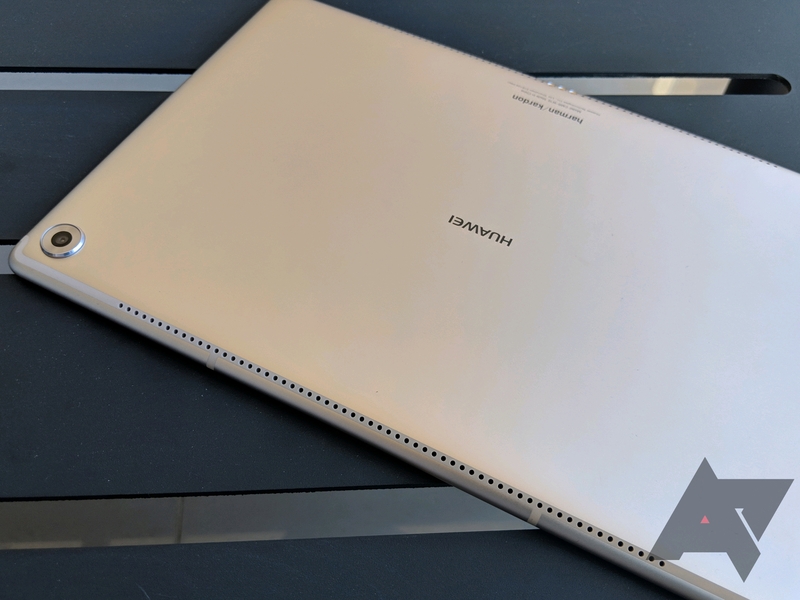 Two is that Chrome OS still isn't available in many, many countries around the world, which means that buying a Chromebook or a Chrome tablet may not be possible for a large chunk of the population, regardless of whether or not they want one. 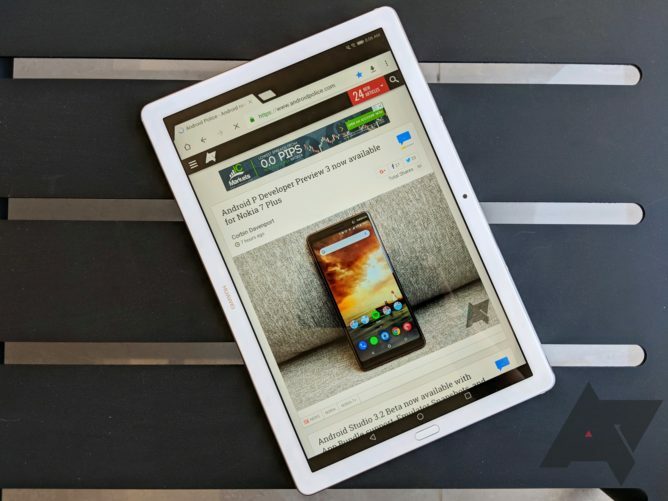 For those reasons, there's still a place in the world for Android tablets, even if that place is getting suffocated from all sides by larger smartphones, cheaper Kindle Fires, more popular iPads, and fresher Chrome OS tablets and convertibles. Build quality Anodized aluminum, smooth curves, beautiful all-glass front, and chamfered edges, there's nothing to be said about the build quality of the M5. These tablets are nice to look at, solid, and feel great in the hand. Display Despite being an LCD, the IPS display on the M5 series is great for indoor use and easily visible outside in sunlight. 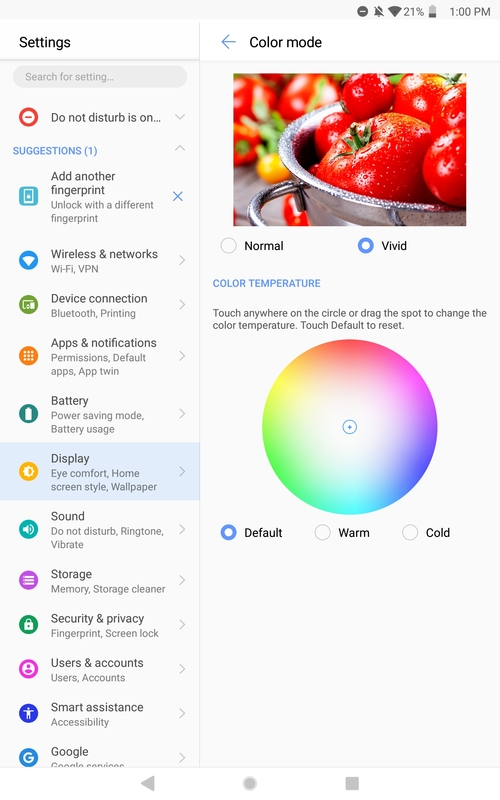 Huawei adds a vivid color setting, a color temperature adjustment wheel, and an eye comfort mode for night usage or reading. Speakers The M5's speakers get loud, especially the quad-speaker setup on the M5 Pro 10. They're perfect for media consumption and gaming, two of the most likely uses for a tablet. 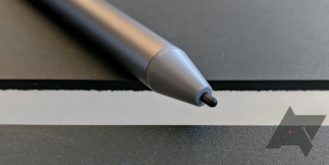 M-Pen The Pen that comes with the Pro 10 is well-balanced, precise, and activates palm rejection while you're using it. 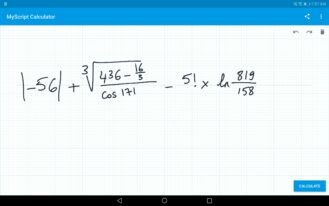 Thanks to a few bundled apps for note-taking, drawing, and math, it makes the tablet more suited for school and creativity use cases. USB-C We take it for granted on high-end smartphones these days, but USB-C still hasn't propagated in the tablet market. It's good to see it here on the M5. Battery life The M5 tablets go on, and on, and on. 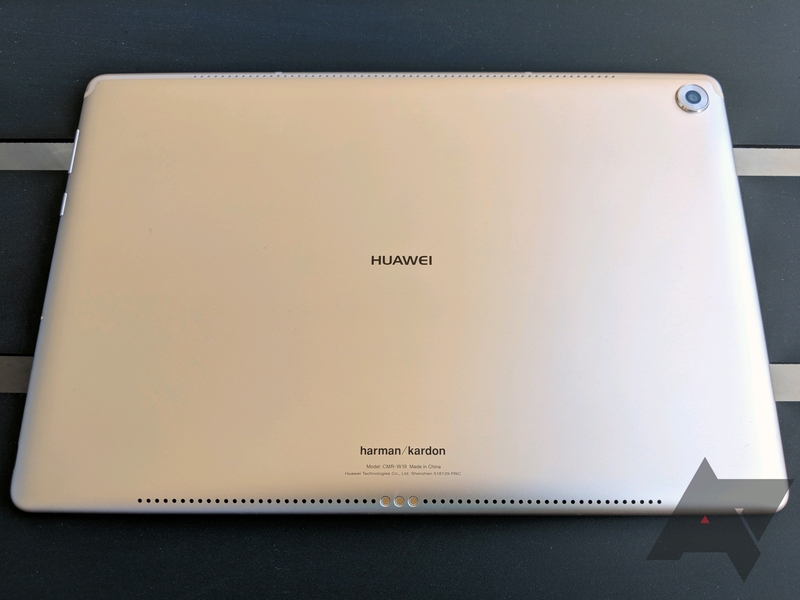 Huawei's battery optimizations, while not universally-loved on smartphones, are very well suited for tablets. 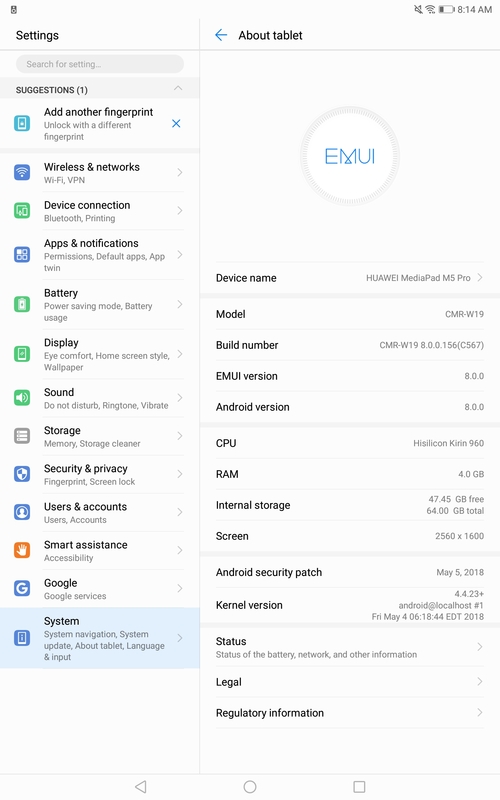 Software It's my first time trying EMUI and I loved a lot of what Huawei's done with the software. 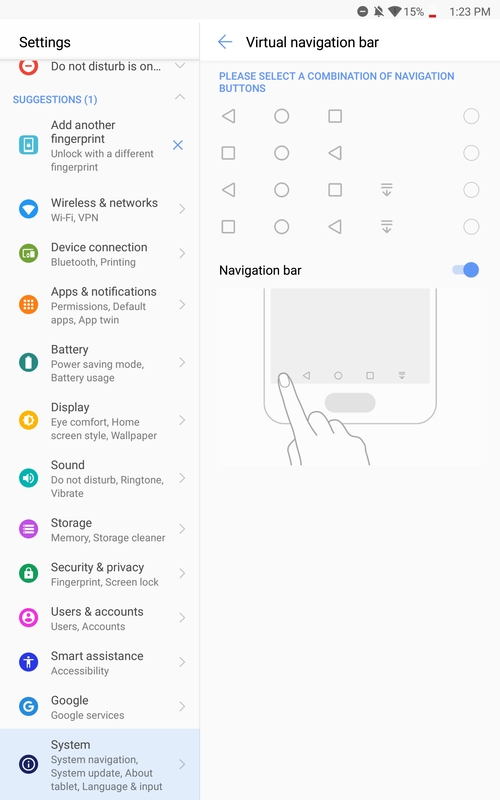 Scrolling screenshots, built-in screen recording, multiple system navigation settings, and other useful additions improve the interface and experience. Performance I spent a lot of time watching Plex, reading, browsing, and gaming on the M5, and neither of the two tablets ever slowed down. 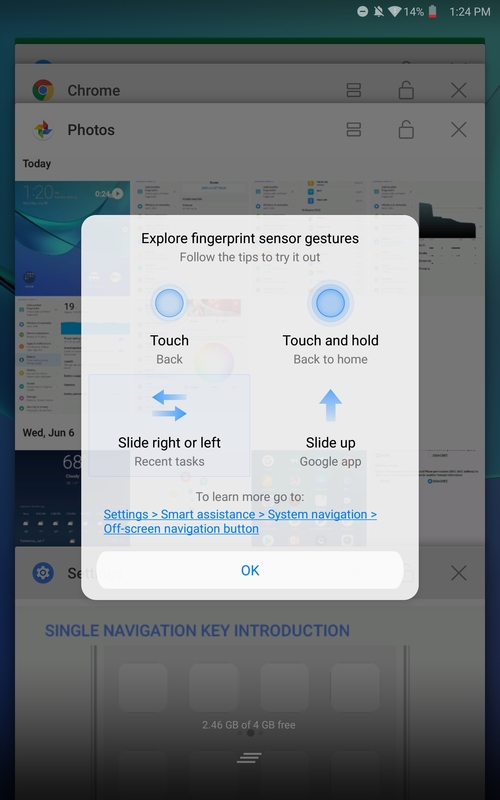 The fingerprint sensor is fast, switching between apps is instant, and there were no hiccups throughout my time with them. Software, again Huawei went a little overboard with the pre-installed bloat on the M5 series (at least the ones sold in the US). 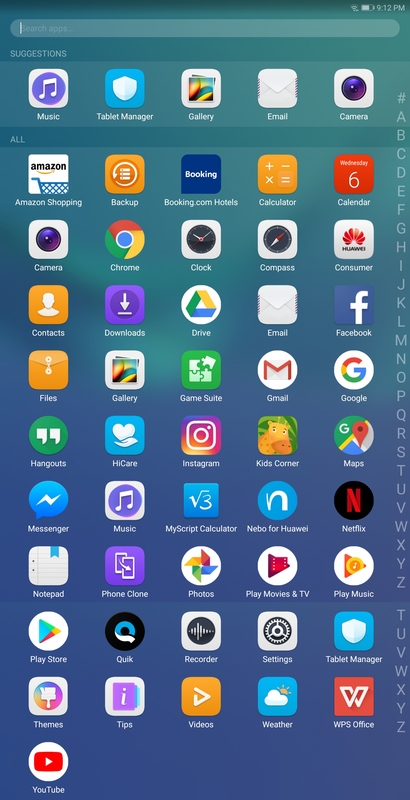 Amazon, Booking, Facebook, Instagram, Messenger, Netflix, Quik, an office suite, and plenty of Huawei's own apps are included out of the box. 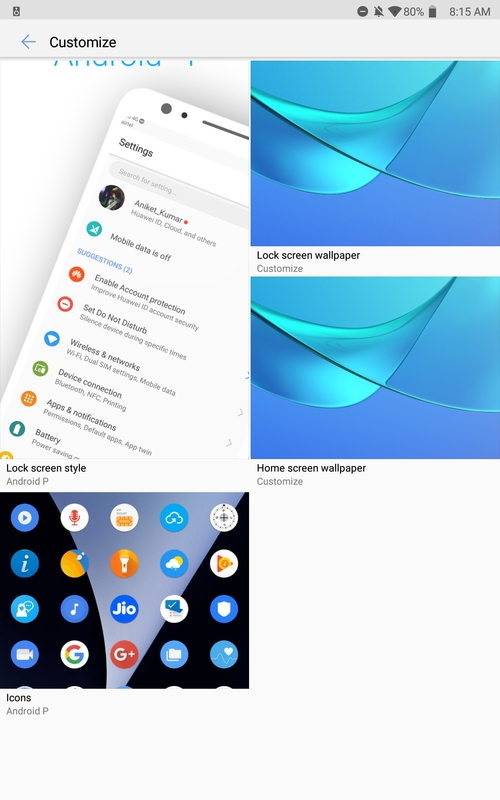 Thankfully, some of these can be uninstalled and others can be disabled. 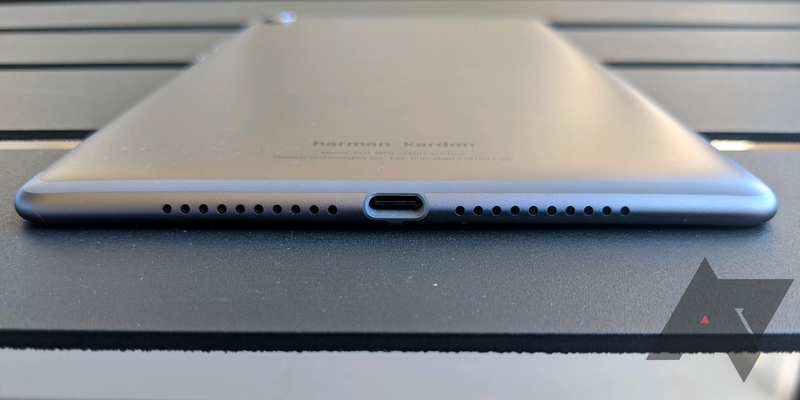 No 3.5mm headphone jack Why? This makes no sense. Sure, the built-in speakers are nice, and Bluetooth earphones are ubiquitous, but these are tablets. A headphone jack isn't taking up primary real estate as it does on smartphones, and it would be more than welcomed for media consumption (which is more than half of the use case). Button placement on the M5 Pro 10 The Pro 10 is designed for landscape use (fingerprint, buttons, logo), but when held in portrait, the buttons end up being on the bottom, a far from ideal location when you're reading or browsing. Display ratio With a 16:10 display, the M5 series is great for reading and browsing in portrait, but feels a little short when held in landscape. 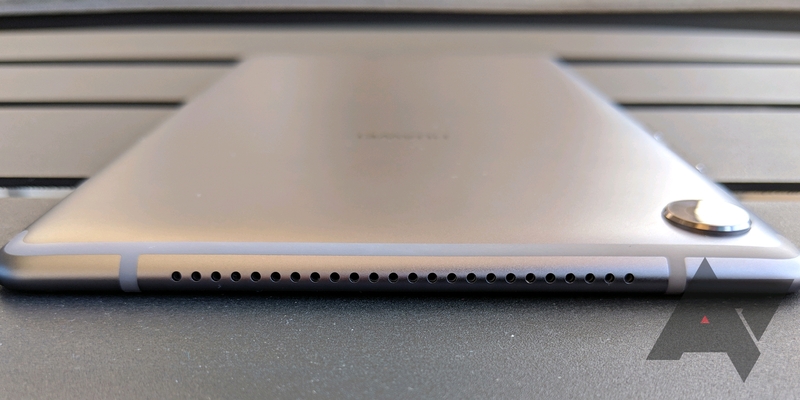 Compared to other 4:3 tablets, and even 3:2 Chrome OS convertibles now, 16:10 is too narrow. I got used to it, but I'd trade it for a 4:3 any day. 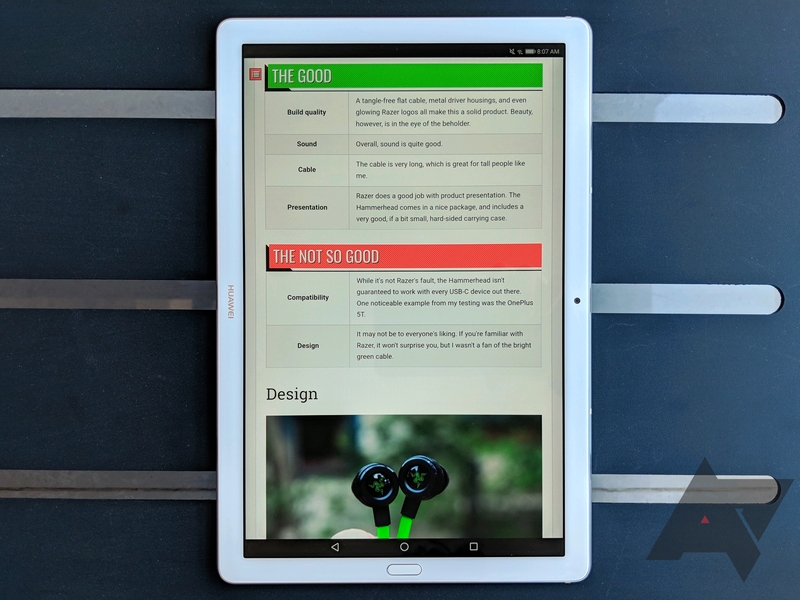 Both the MediaPad M5 8.4" and M5 Pro 10.8" follow the same design language. The back is made of smooth anodized aluminum that curves on the edges toward the front, which is covered by a large glass panel. The camera protrudes from the back, and the Harman/Kardon speaker grilles are huge. 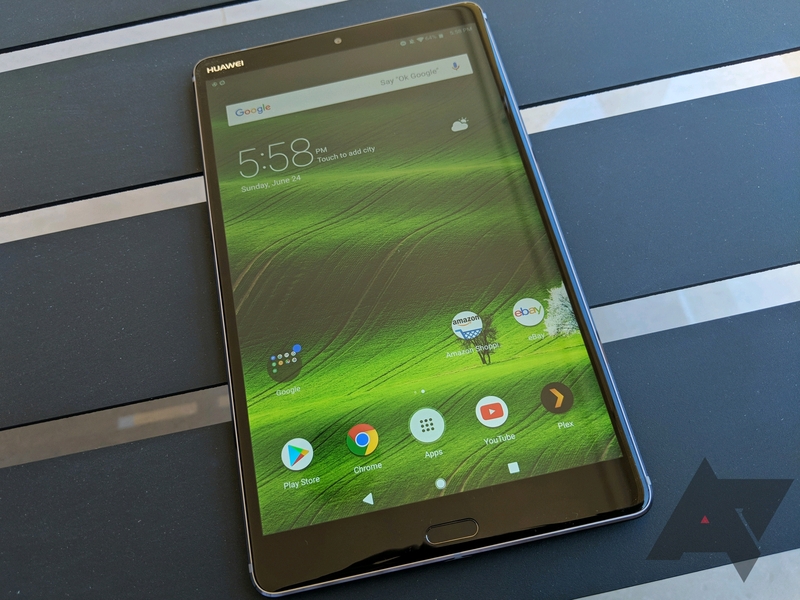 Both tablets use USB-C for charging and audio, have a fingerprint sensor on the front (that doubles as a capacitive home button), clicky buttons for power and volume, a MicroSD slot for expanded storage, and large antenna lines on the back. 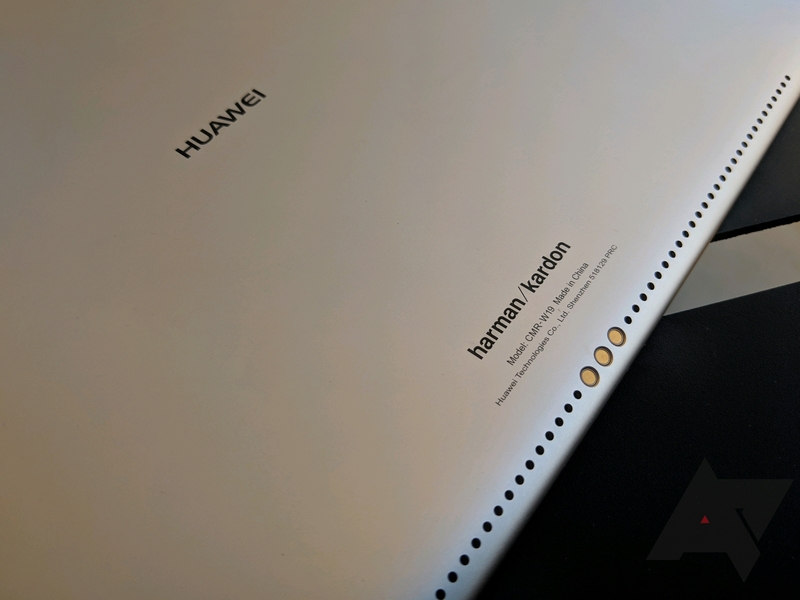 The build quality is excellent and, thanks to the sleek curves, the tablets are really a pleasure to look at and hold. The first few days, I was afraid the smooth metal would cause them to slip out of my hands, but I grew less paranoid with time and realized that a regular firm grip was enough to keep them safe. 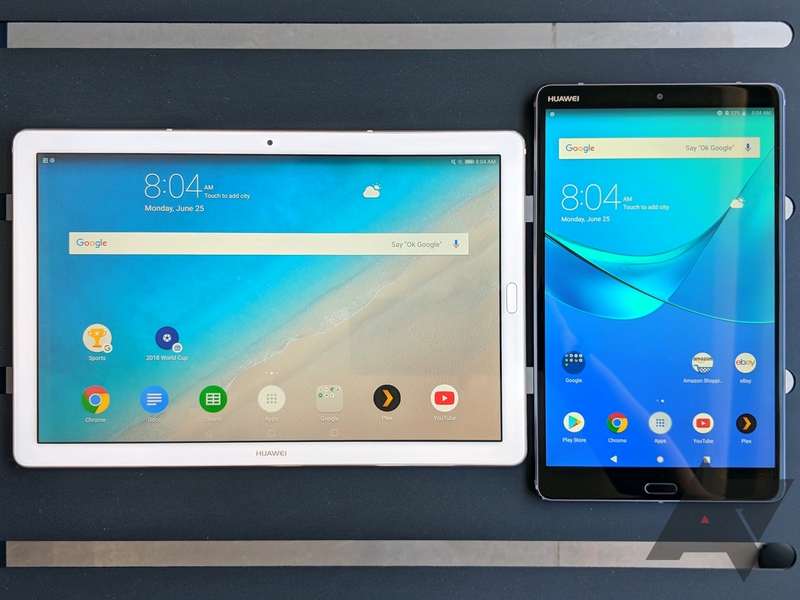 Huawei announced multiple variants of each of these tablets, including a regular non-Pro version of the 10 that lacks the M-Pen support, but availability and pricing differ worldwide. In the US, where these two units came from, only the 64GB storage tier is officially sold. The M5 8.4" comes in a space gray color, whereas the M5 Pro 10.8" is available in champagne gold. In the box, you'll find the tablet, a USB charger that goes up to 9V-2A with an A-to-C cable, an ejector tool to open the MicroSD slot, and a small USB-C to 3.5mm adapter cable. 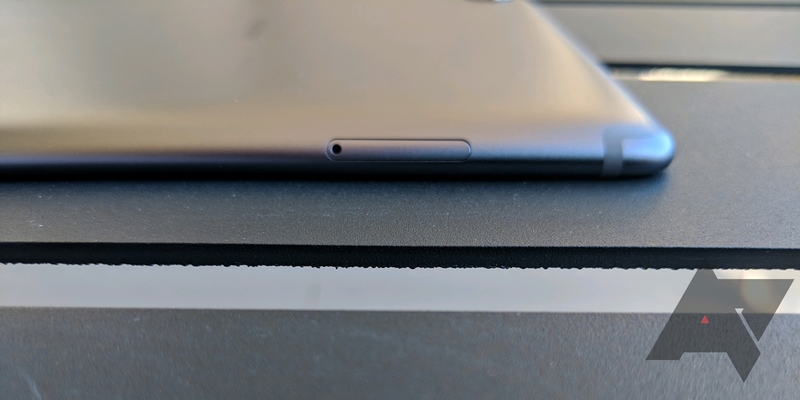 I'm glad the latter was included, but I would have preferred to see the 3.5mm port on the tablet itself or a pair of USB-C earphones in the box. When it was first announced, Huawei showed off a keyboard case with the M5 Pro 10.8", but that is an added accessory. As far as I can tell, this official case hasn't launched anywhere yet, and you're left to check third-party options from Amazon if you want something similar. The smaller 8.4" tablet is the perfect size for holding one-handed. I often grab my tablets and walk around, reading and editing Android Police's articles, and the Nexus 7 (2013) filled that role for several years. 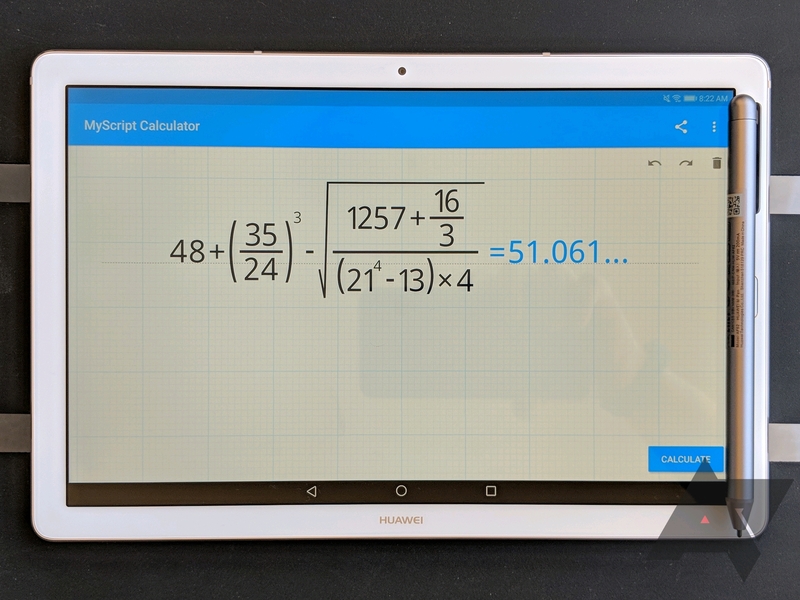 When I switched to the Galaxy Tab S2 8" last year, I had to readjust to a wider form factor, so I'm more than happy to go back to a narrower tablet with the M5 8.4". It's significantly heavier though, but after a few days of use, I didn't notice the added heft anymore. 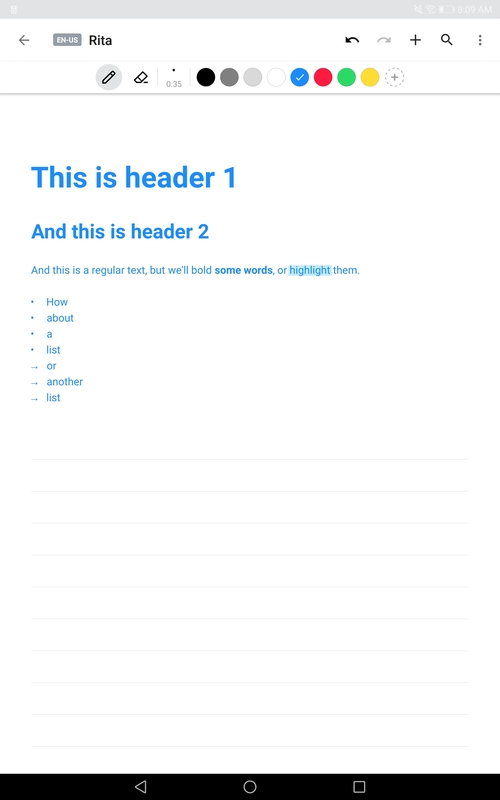 The downside is that, in landscape, the 16:10 ratio makes the display a little too short. It still works for watching videos and gaming, but don't expect it to be very useful for browsing or typing this way. 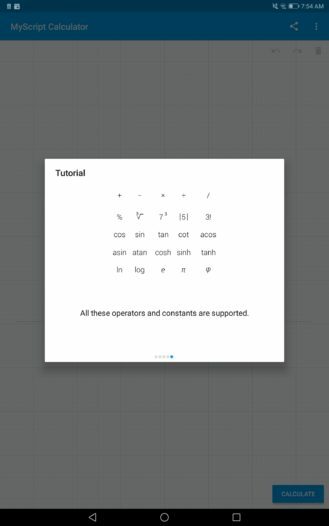 The keyboard takes about half the screen. 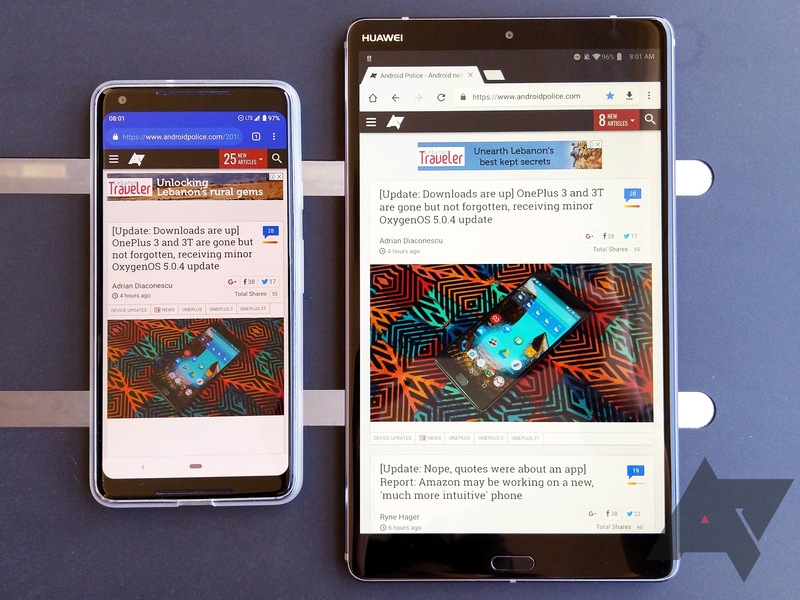 Perhaps the biggest question mark around the 8" tablet form factor nowadays is whether or not it's needed when smartphone displays are getting larger and larger. 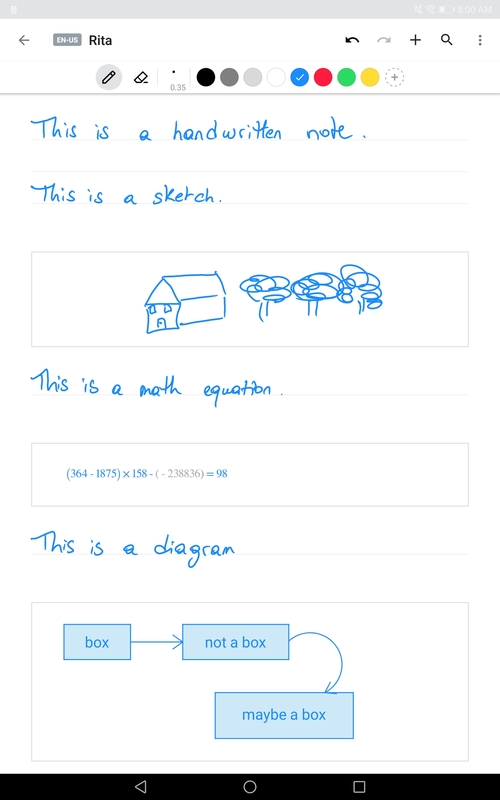 My opinion is that it depends on the use case. A ~6" smartphone is more than enough for many users, but if you spend an hour or two every day exclusively reading, then a slightly larger but still very portable tablet is a huge upgrade. That's where the 8" form factor comes in, and because of the demands of my work, it's become my personal favorite. 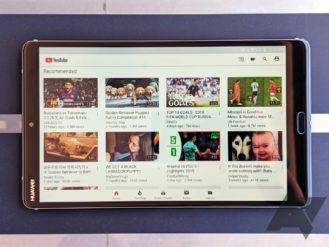 A 6" smartphone display (Pixel 2 XL) is a far cry from an 8.4" tablet. Having always used 7-8" tablets, the large M5 Pro 10.8" was a first for me. I didn't know what to expect, but I was pleasantly surprised by its portability and big display. I tried to walk around with it and edit, like I always do with my smaller tablets, and it amazingly passed the test, though the added weight started bothering me with prolonged use. However, my biggest annoyance with the M5 Pro 10 is the button placement. 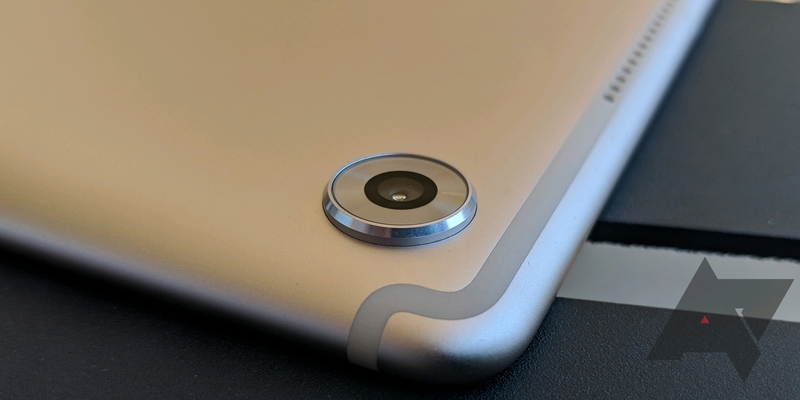 The tablet is designed for landscape use; the logo and front cam attest to that. 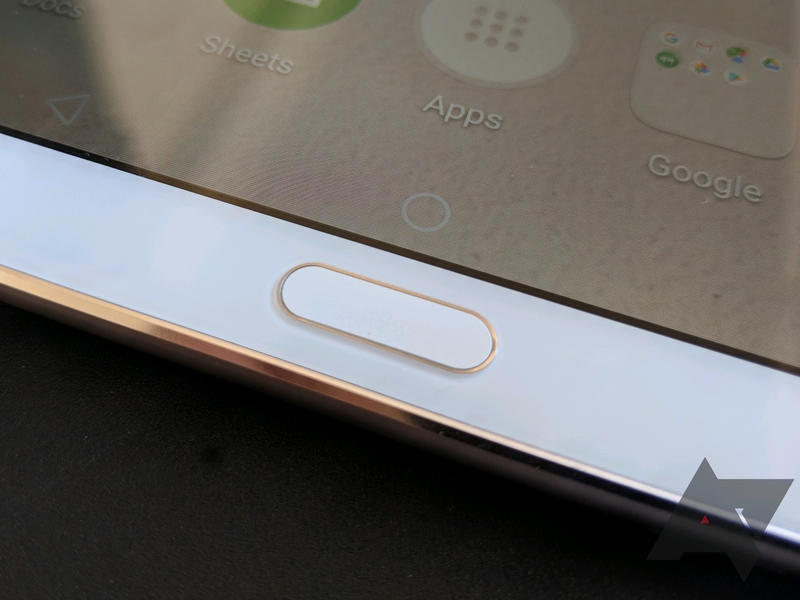 The fingerprint scanner isn't moved compared to the 8.4", but the buttons are. 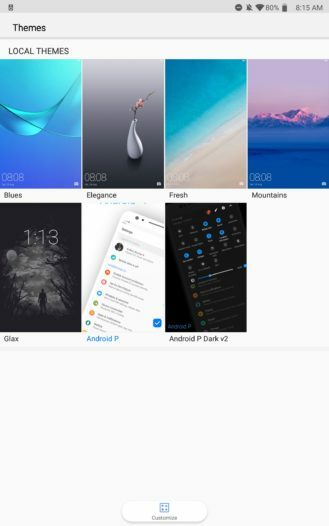 When held in landscape, the volume and power buttons are on the right side, but when held in portrait, they're at the bottom. That makes turning off the display or changing the volume a very annoying experience. The tablet is often resting against my lap and I have to remember to raise it up, reach awkwardly for the buttons, and press them. 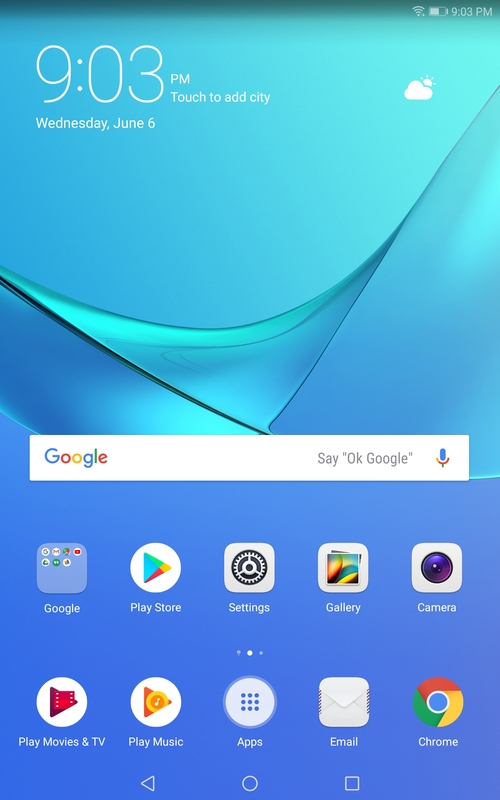 I wish Huawei stuck with the same design and placement as the 8.4" (right side in portrait, top in landscape). That makes more sense. Being the "Pro" model, this tablet comes with an M-Pen in the box. Sadly, the pen's space gray color doesn't match the gold of the tablet, but on the bright side, it also uses USB-C for charging (the battery should last about 21 days). It's a well-balanced active stylus that doesn't require pairing with the M5 Pro (also tested successfully with my Pixelbook) and provides a smooth writing experience. The fine tip and palm rejection certainly help with that. 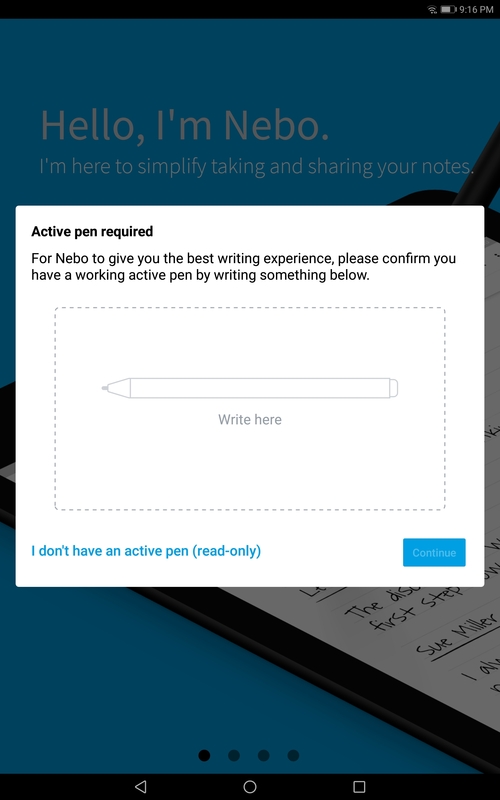 Press it and tap the pen's tip once on the display to get a floating menu of stylus-compatible apps. Beside the addition of M-Pen support and larger display/battery, the M5 Pro 10.8" doesn't differ in any major way from the smaller 8.4" tablet. Out of the box, both tablets come with a ton of bloatware installed - at least the US versions I'm reviewing do. But most of that is removable and you can get to a rather clean install by disabling the rest. 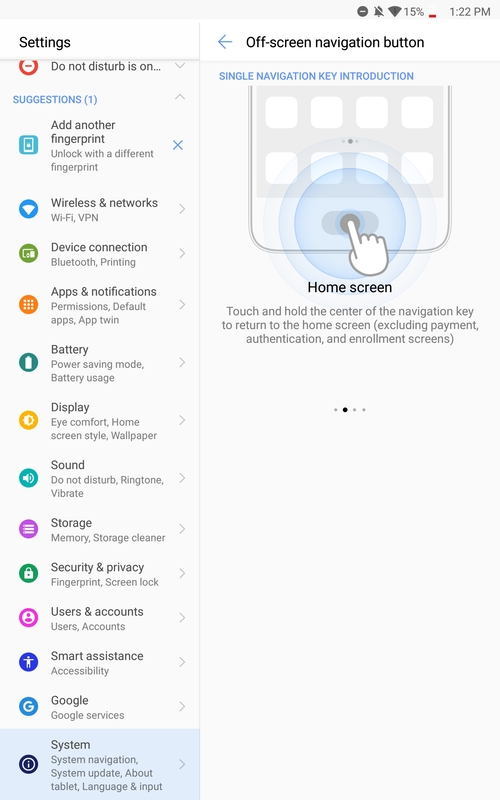 This was my first experience with EMUI and I'm glad I got to test the latest 8.0 version, which fixes many of the issues of previous iterations. 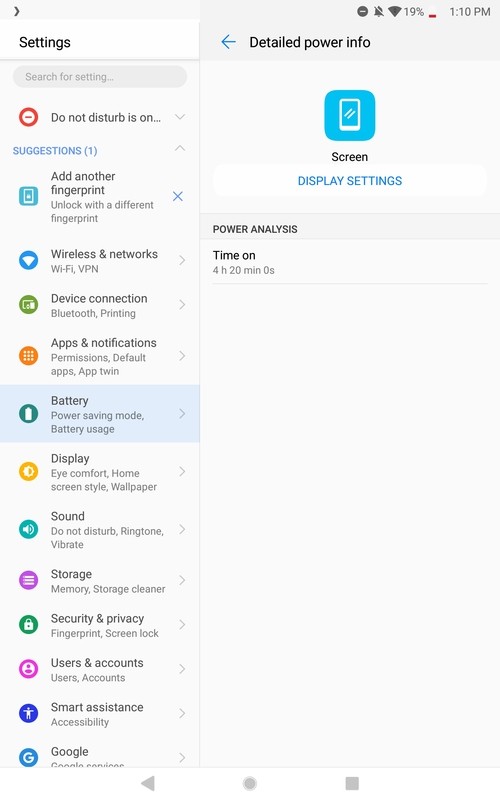 The one outstanding problem we still have with EMUI 8.0 is the odd notification behavior on the lockscreen (you can't act on them easily, and they disappear if you unlock even if you don't dismiss them), but that's not a deal-breaker on a tablet. I barely noticed it. What really bothered me was the default launcher. 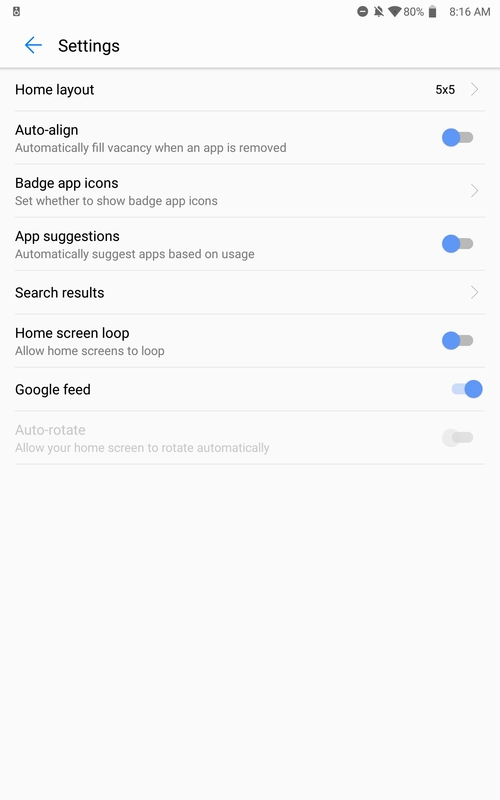 It has no adaptive icon support and, most annoyingly for me, doesn't let me tap and hold an app's icon to go to its info page in settings. 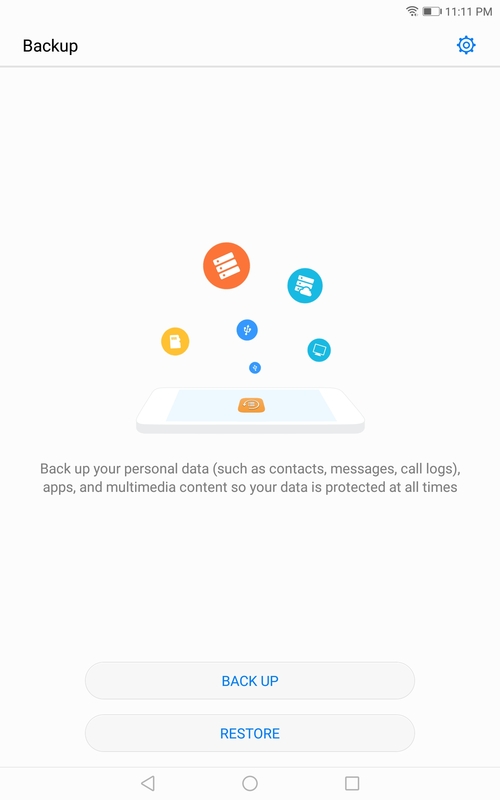 For someone who's always checking which version of an app they're testing, clearing its data, and checking its permissions, this simple omission was frustrating. I couldn't wait until I was done testing the default EMUI skin to go back to Nova Launcher. I realize this little feature isn't important to most people, but it really bugged me. 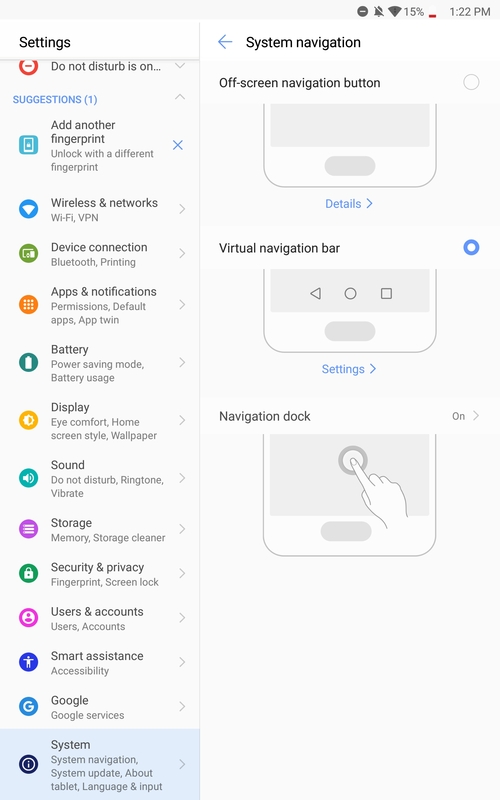 On the upside, I enjoyed a lot of Huawei's software additions. After using themes on Samsung's phones for years, I miss having this on my Pixel 2 XL and Galaxy Tab S2, so being able to download themes and change the way the interface looks is a big bonus. After some testing, I chose the G-Pix (Android P) theme (there's a dark version too) for its clean design. 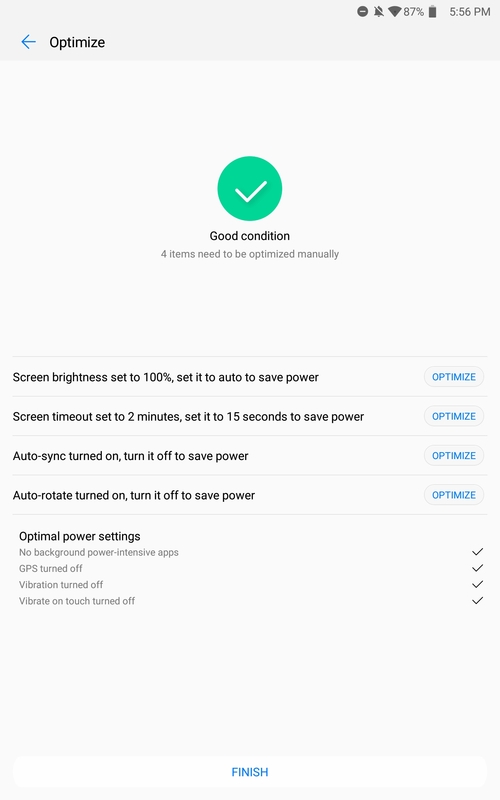 I also appreciated most of Huawei's additions, like the different display color modes, scrolling screenshot option, network speed indicator in the notification bar, and the different navigation modes. The navigation dock option, shown in the GIF below, is particularly neat. 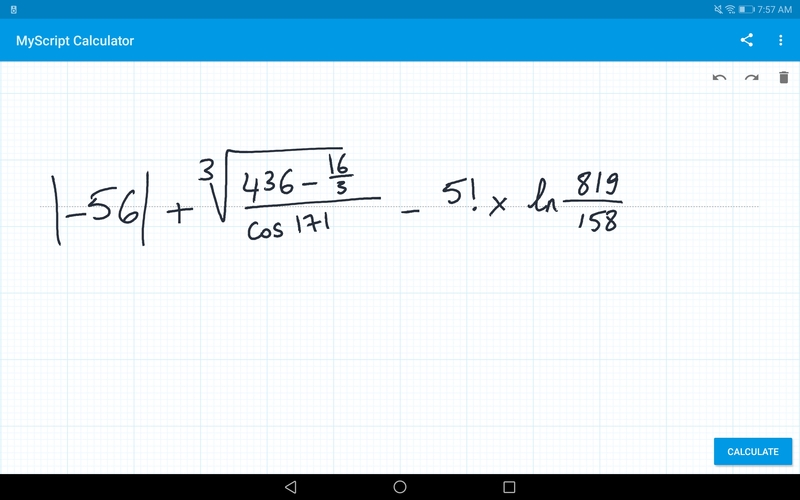 On the M5 Pro 10.8", two apps are pre-installed to make use of the M-Pen: MyScript Calculator and Nebo for Huawei (a variant of MyScript Nebo, but stuck on v1.7.1 and non-updatable from the Play Store). 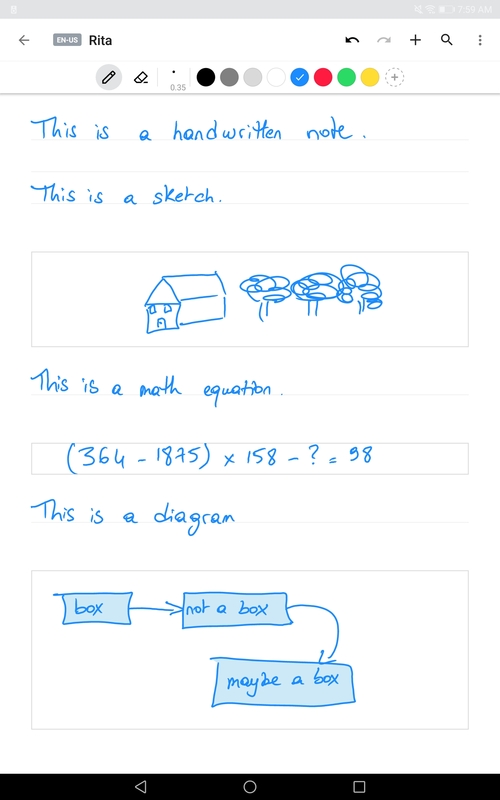 Both are excellent stylus apps. 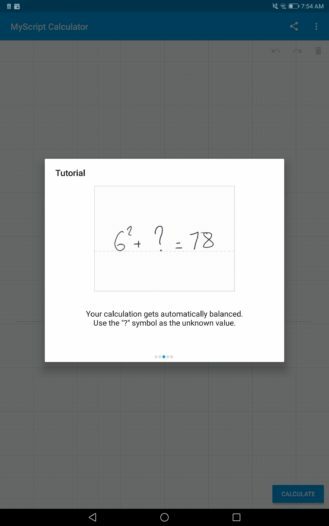 I tried throwing the most complex math equations at the calculator and it invariably understood my writing and converted it to a proper equation. 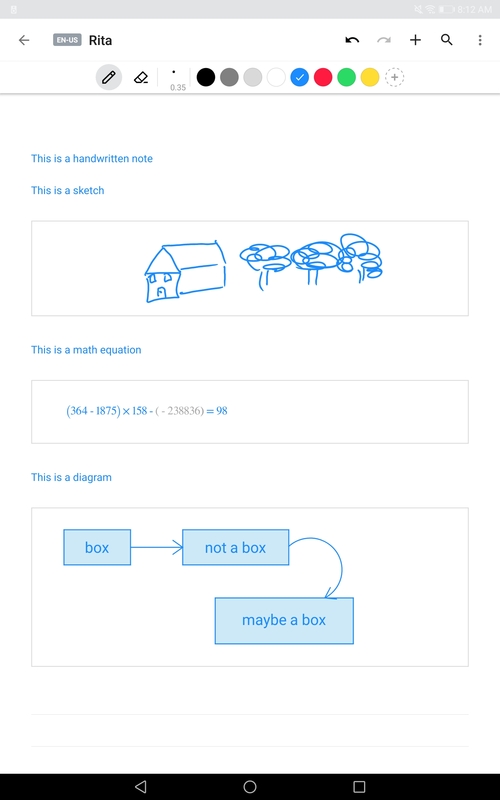 As for Nebo, the writing recognition engine is excellent and the app overflows with features, from gestures to easily join two words or delete and replace ones, to options for adding diagrams and equations and drawings. 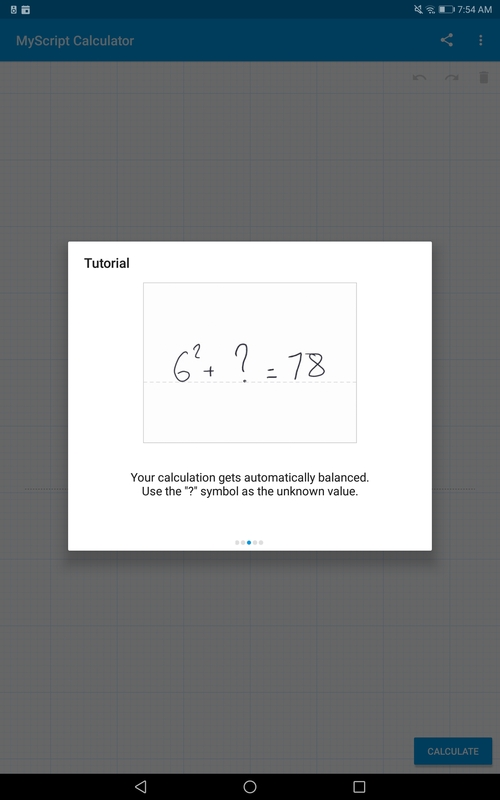 If I was back in school or college, I'm sure I'd love every single second of using the app. 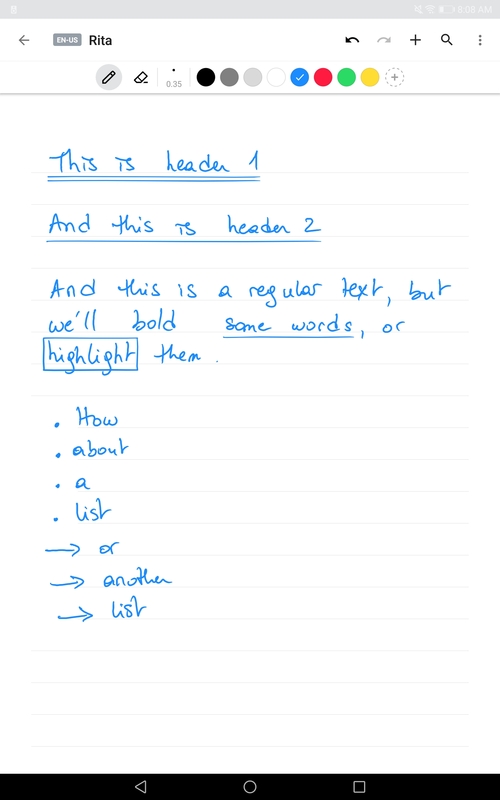 It does seem to fulfill all note-taking needs. 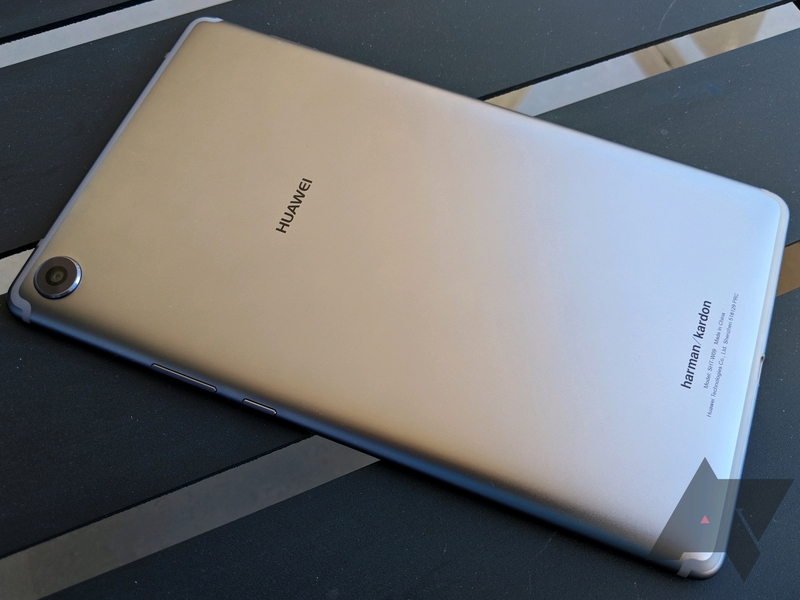 In my time with the Huawei MediaPad M5 series, I don't think I've had one single deal-breaker complaint. Sure, there are things here and there that I'd change in the hardware and software, but the experience was very positive overall. Even though my limited photography skills don't show it, the display is gorgeous; it's brighter and easier to read outdoors than my Galaxy Tab S2. 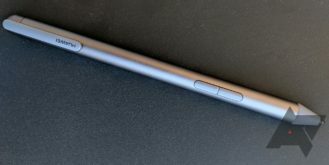 The narrower form factor also makes the 8.4" model my current favorite portable browsing and reading device. 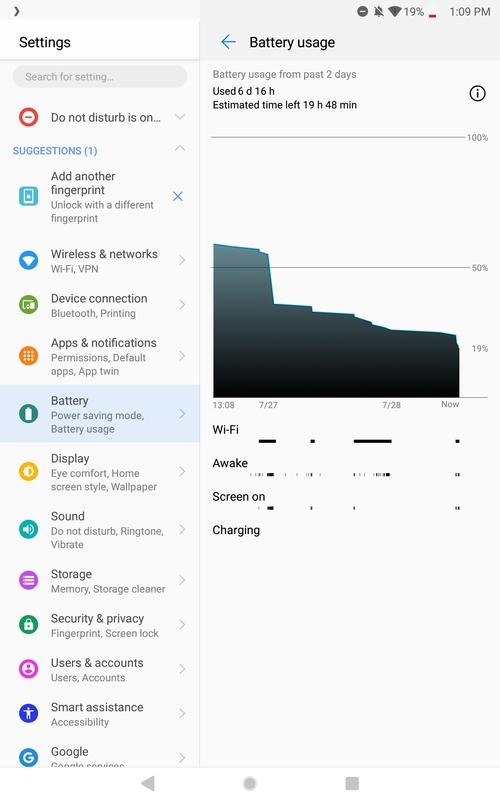 The battery lasts forever and sips super slowly when not in use. 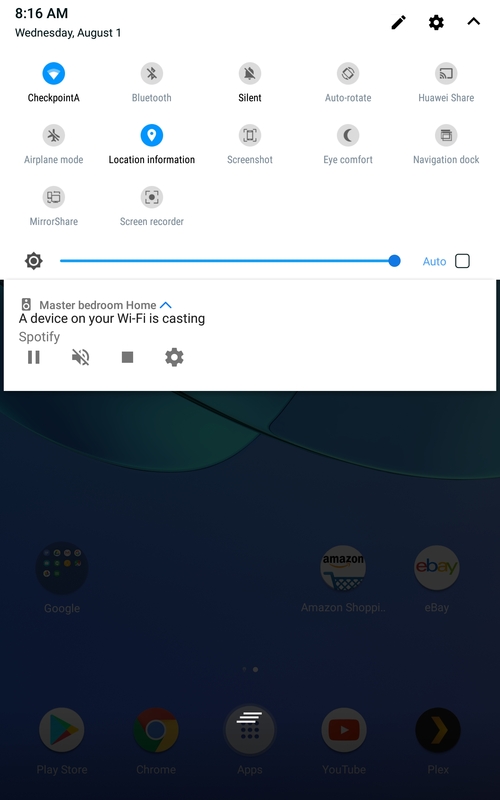 The speakers get very loud when watching videos or using Duo for calls, to a point where I no longer use earphones. The WiFi reception is spotless in many areas of my pharmacy where my Pixel 2 XL and Galaxy Tab S2 struggle to grab onto a signal. The cameras are a bit overkill for a tablet, and the M-Pen is only useful for those who do a lot of note-taking and sketching, but both features are great bonuses if you need them. Perhaps my most favorite feature though is the M5's performance. Not once did I feel one of the tablets stutter or lag. Gaming, watching YouTube and Plex, browsing, reading, using multiple apps, they handled all tasks with ease and smoothness. And that fingerprint scanner is pretty darn fast. Now I know why Jordan praises Huawei's scanners so much. Yes, if you want an Android tablet. 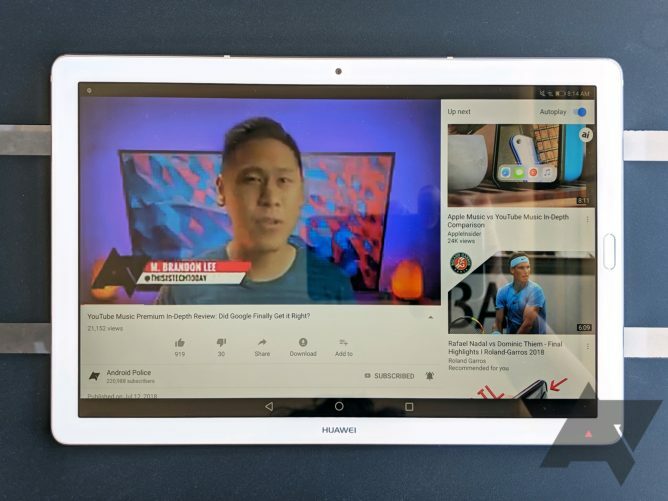 I recognize that Android tablets aren't for everyone these days, and the market is moving toward Chrome OS, but for those of you who don't want to bother with a different operating system, don't live in a market where Chromebooks are available, or want a smaller and more portable tablet only, the Huawei MediaPad M5 is the way to go. 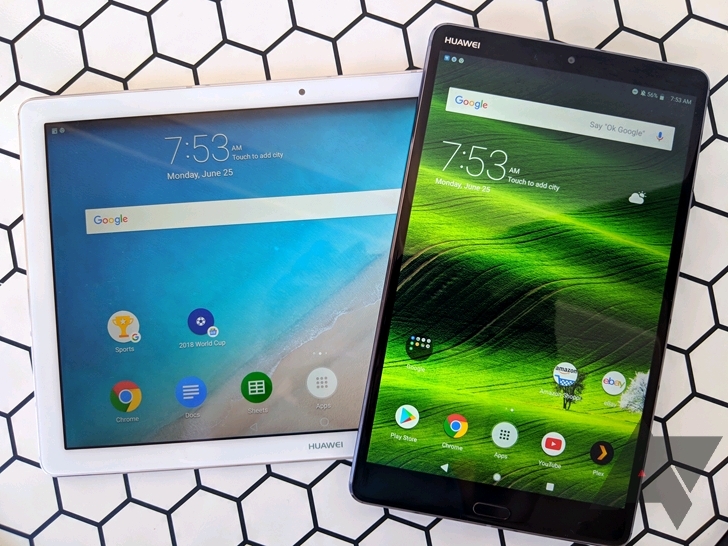 There's very little direct competition in the tablet segment nowadays, so that makes the decision quite easy. 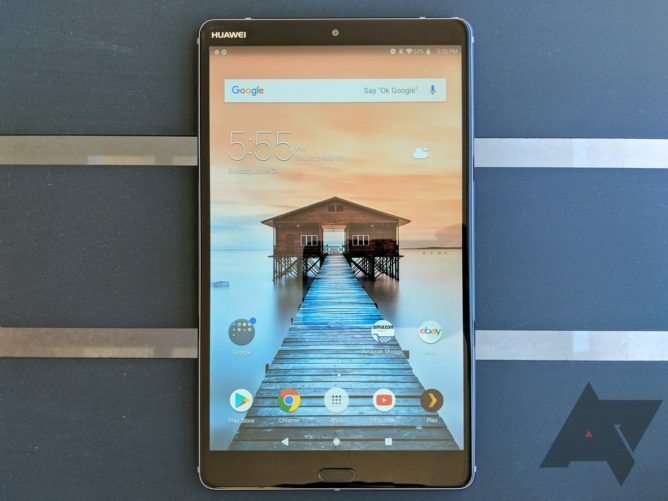 Amazon's Fire tablets are great and cheap, but they don't offer full access to the Play Store unless you tinker with them and, even then, their hardware capabilities are limited. The iPad Mini line-up hasn't been updated in years, so the slowing and aging Mini 4 shouldn't figure in the discussion with the M5 8.4". 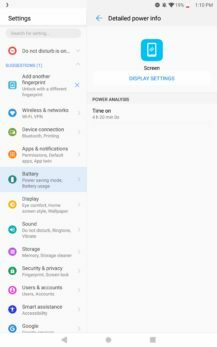 Larger iPads are excellent alternatives to the Pro 10.8" but, depending on your needs and uses, you may be reluctant to get used to a new OS and buy many of your apps again. 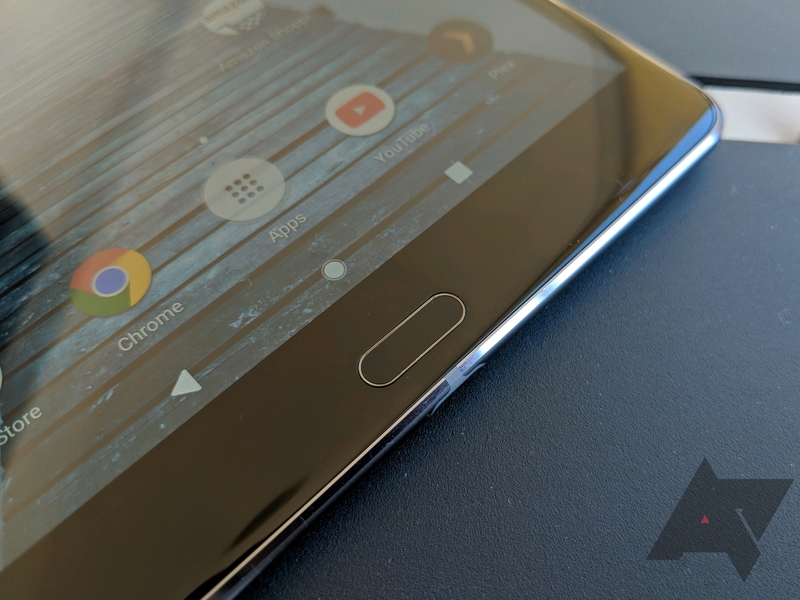 That leaves us looking at alternatives from competing Android OEMs. 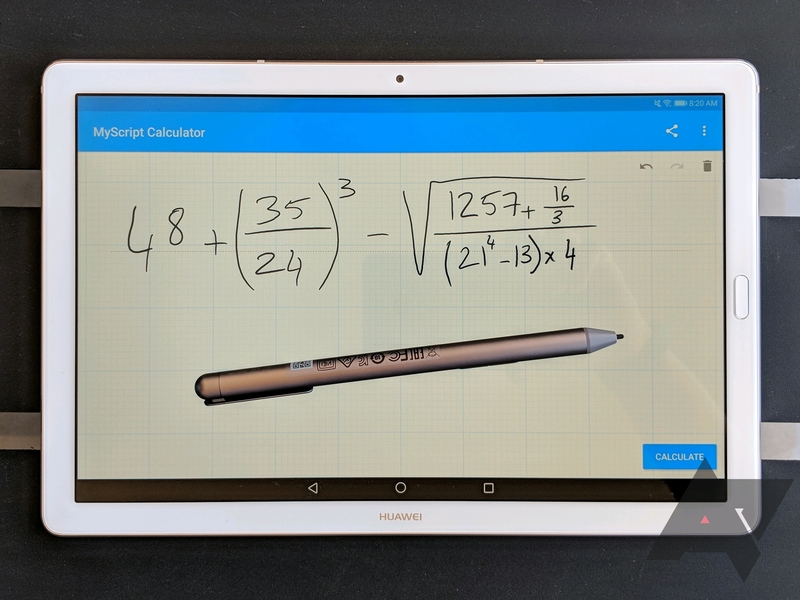 The last great small tablet is the Samsung Galaxy Tab S2 8", but it's several years old now, runs Nougat, and is still priced around the $300 mark for the 32GB model. The 64GB MediaPad M5 8.4" at $320 is a no-brainer in comparison. On the larger side, both the Galaxy Tab S3 and the Asus ZenPad 3S are getting outdated, and the former is still overpriced. The main question you may be asking yourself is whether to go for the Pro version of the M5 and its M-Pen or not. As much as I appreciate the M-Pen, I'd go with the non-Pro because I don't do enough note-taking or sketching to justify it. However, depending on where you live, the non-Pro may not even be an option, and the Pro is a little expensive. In that case, I'd do a double-take and check the other options first. 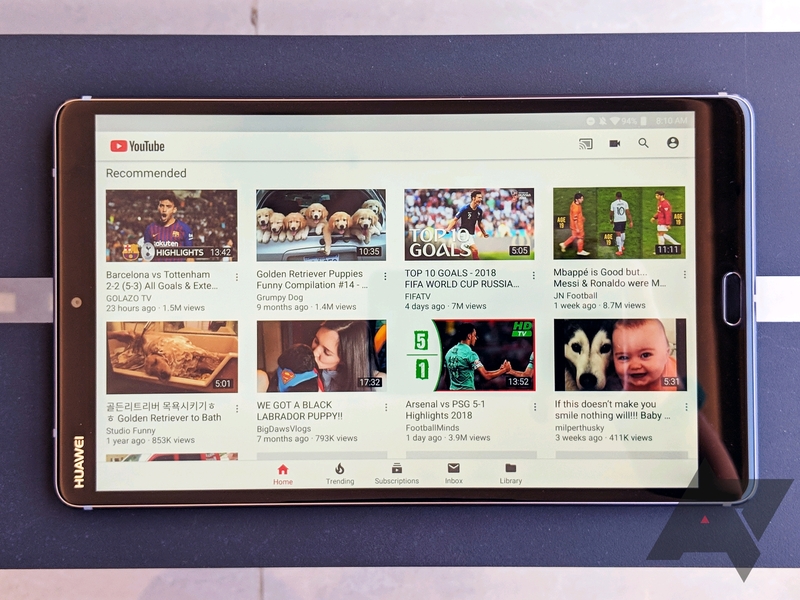 The Galaxy Tab S4 is just around the corner, but it may not be worth waiting for, if you ask me. First, the S4 won't likely come in an 8" form factor, which makes the M5 8.4" your only option for a high-end small tablet. Second, it's likely to be priced in the $500-$600 mark, as the Tab S3 was when it first launched. Compared to that, the $450 M5 Pro 10 is a better deal overall. 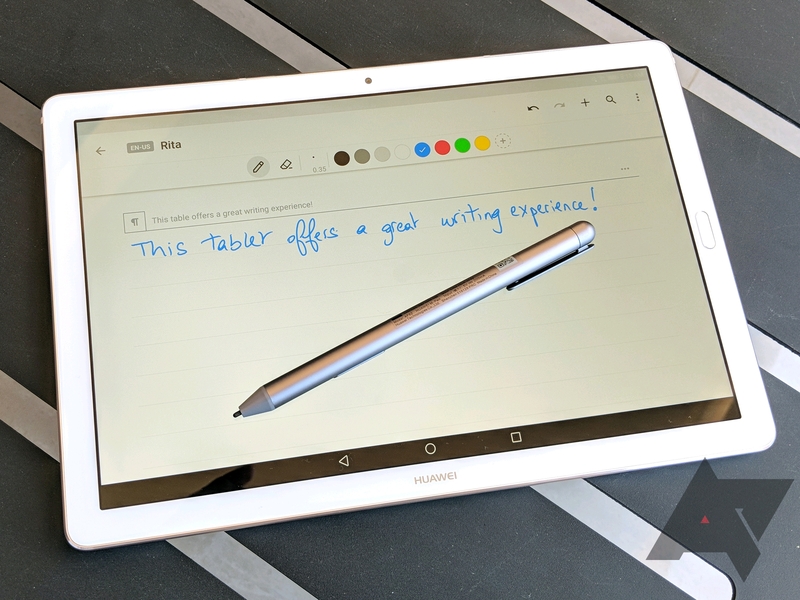 The Pro 10.8" if you don't do any note-taking or sketching, you can afford to pay more for an iPad Pro or want to wait for the Galaxy Tab S4, or you think Chrome OS convertibles and detachables might better suit your needs.